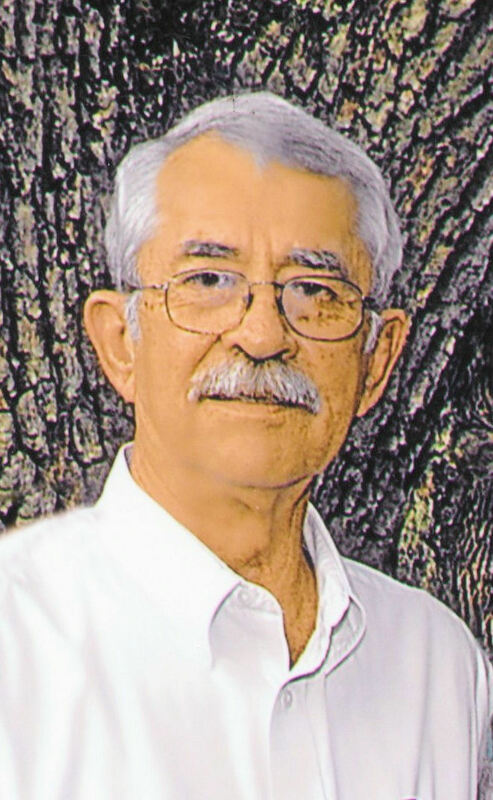 Home Obits ROY CECIL KNOTTS JR.
Funeral Services for Roy Cecil Knotts Jr. will be at 10 a.m. Friday, Nov. 9 at First United Methodist Church of Natchitoches in the Crossroads sanctuary. Burial will follow at Old Ramah Cemetery in Ashland under the direction of Blanchard-St. Denis Funeral Home. The family will receive friends from 5:30-7:30 p.m. Thursday, Nov. 8 in the Crossroads sanctuary of First United Methodist Church. Cecil Knotts, 75, passed peacefully from this earth Nov. 4, 2018, after a lengthy battle with heart and other health issues. Cecil was born June 17, 1943, in Natchitoches, the first of four children born to Roy and Jessie Faye Knotts. He grew up in Natchitoches, graduated from Natchitoches High School, received a Bachelors degree from Northwestern State University and a Masters degree from Louisiana State University. Cecil was an athlete in his early years through college and remained a big sports fan throughout his life. Basketball, baseball, football, college or pro; if it was being played, he was watching it. He was a faithful supporter of both NSU and LSU athletics. Contrary to speculation, the recent LSU/Alabama game is not believed to have been a contributing factor in his passing. Cecil was a fisherman. He built his house on the lake, and for many years would get home from work and get in his boat and fish until dark on a daily basis. Fishing was the topic of many lively conversations and competitions over the years. Cecil was blessed to have a lifelong best friend and fishing partner in Ed Horton. From childhood, the two of them fished together, worked together, took family vacations together and enjoyed a rare and wonderful bond. Cecil Knotts was a good man. He was kind, friendly and accommodating. His devotion to God was evident in his constant selfless sacrifice on behalf of others. He was both challenged and delighted to care for his in-laws, Melvin and Ruth Stevens, in their later years, as well as his own mother. Blood relation was not a requirement to be part of Cecil’s family. Throughout the years, Cecil and his wife, Kay, opened their home to many needing help, guidance or just a safe place to stay. These included relatives, former students, family friends and others they had met along life’s journey. Whatever their background or circumstance, Cecil welcomed them all and considered many of them truly as members of his family. He is survived by his loving and devoted wife of 53 years, Kay Knotts; one son, Jeff Knotts; a number of cherished nieces and nephews, including those he helped raise; great-niece, Megan Session and her son Hendrix; great-nephew, Colby Session and Lindsay Vead; great-nephew, Andrew Bernard and his sons Nickolas and Brody. Brody’s mom, Haley Harp, is one of many adopted family members that include Heather Hanners-Cook, Jennifer Johnson, Kylar Robinson, Chris Reliford and Charlotte Hatten and her children, Caleb and Audrey. In Lieu of flowers, donations can be made in his memory to the Cecil Knotts Athletic Scholarship, Demons Unlimited Foundation, 468 Caspari St., Natchitoches, LA 71497. Pallbearers will be Andrew Bernard, Zachary Coffey, Joshua Coffey, Colby Session, Caleb Hatten, Kylar Roberson, Dale Martin and Chris Reliford. Honorary pallbearers will be Edward Horton, Carl Jones and Carl Bennett. The family would like to extend their gratitude to Dr. Chris Ingram for his first-rate care that prolonged Cecil’s life for several years, the staff of Frenesius Kidney Care for the wonderful care and compassion they showed to Cecil, and Dr. Johnathan Davis at Willis-Knighton Pierremont, who was more than a cardiologist, he was truly a heart doctor.